We are the hands and feet of Jesus on the earth. We can do everything He did by relying on the Holy Spirit Who dwells in us. It's time for us to do the works Jesus did! 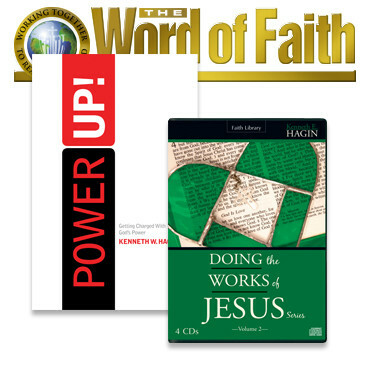 Doing the Works of Jesus—Volume 2, a 4-CD series by Kenneth E. Hagin. In Volume 2 of this confidence-building series, Rev. Hagin encourages believers to boldly share the Gospel and lay hands on the sick. Power Up! : Getting Charged With God's Power, a book by Kenneth W. Hagin. Be challenged to take Jesus at His Word and let God's miracle-working power flow through us. As we become conduits of God's power, it will be said of us as it was of the first believers, that we are those who "have turned the world upside down."